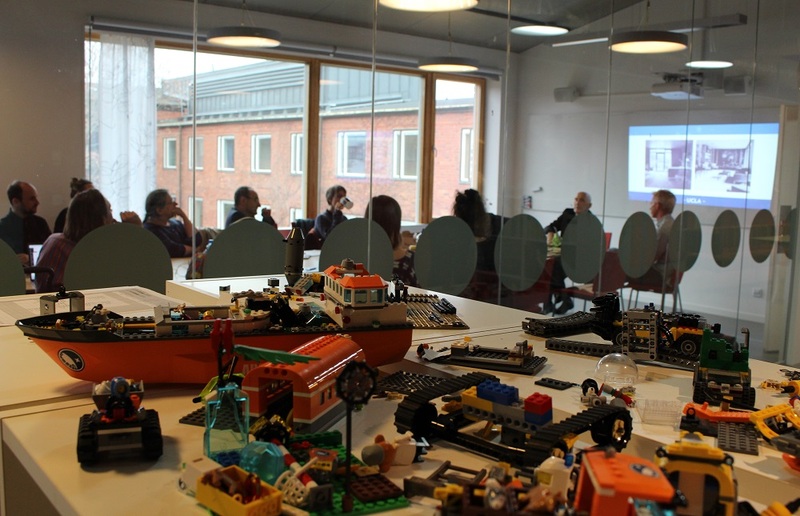 Humanities Tech KTH events explore the intersection of the humanities, human and technology with a particular focus on critical and constructive engagement with socio-technological systems. The format is flexible depending on the theme, people and situation.. A keystone is that there should be enough time for discussion and conversation. Another one that if possible, there should be Swedish-style fika. Humanities Tech eventsare open, but registration required. Limited Seating. KTH main campus (venue to be announced). More events will be presented here soon. Sara Hendren is based at Olin College of Engineering. She is a designer and artist as well as a disability studies researcher. Hendren combines disability studies, speculative research, and critical design, and her practice is a unique mix of engineering and the arts in pursuit of sharper questions about human capacity, worth, and interdependence. Her work includes assistive and adaptive technologies, social design projects, and mixed media collaborations that engage technology and the human body. She is also the PI for the Sketch Model initiative, which creates avenues for the arts and humanities to intersect in provocative, convivial ways with Olin College, a small undergraduate college where all students major in engineering. Hendren’s 2015 Eyeo talk is available here. David Theo Goldberg directs the University of California-wide UC Humanities Research Institute and is the author and editor of more than 15 books on race, gender and political theory. He is a leading voice for the humanities in the world. Patrik Svensson, Umeå and UCLA, has done research on PowerPoint, institutional space and digital humanities, and was director for HUMlab at Umeå for 15 years. He is currently writing a book about infrastructure. He designs spaces, events and software. Natalie Jeremijenko, New York University, is a world-renowned artist, engineer, and scholar who seeks to reimagine and redesign the built environment, data, energy, food, waste and distribution systems to improve human and environmental health. This work, which brings together environmental urgency and creative agency, is primarily carried out through number of live and public socio-technological-ecological experiments across the world. Jeremijenko is the founder of the Environmental Health Clinic at New York University and received the 2018 Queen’s Birthday Honours Award AO Officer of the Order of Australia.